There has been an evolution in the way modern organizations plan and proceed in order to gain success in their field. Gone are the days of arguments, insults and snide comments; business intelligence is the way to go in today’s world. In comes the Data Scientist, with their skill sets trained to analyze the data and make sense out of it so that companies than thrive. Data Science, despite what it says, is not the science of analyzing data per se, but the art of doing it. Just like a painter can paint a great picture, Data Scientists can paint the perfect way to gain success with a full blown idea. Data Science is not simple, as it requires attention to minor details that might slip out of the senses of the normal business man. 1. Try to keep the learning curve constantly growing along with the growth of the company. Today’s business world is not at all simple. In fact, it is extremely data-driven and research based. It is also constantly shifting and highly competitive. In such a business environment, you always need to be one step ahead of your competitors. There are many, many newer and faster tools, along with plenty of open source technologies. 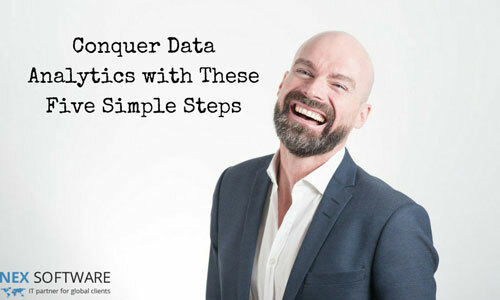 These will help you in developing data enhancement analytics. 2. Embrace the diversity that you can gather from your domain. Just like a real superhero, try to engage with the public in general and gather their opinion. Engaging and connecting to the public and taking note of the variety of sources that are available in regards to the data can have great relevance when your domain area is concerned. 3. Put effort in to the creative analysis. It is a known fact that data analysis is a time consuming effort. Analytics, in this particular tandem is the iterative application of all the specialized resources paired with scalable computational resources. These come with tools that often provides the insights that are actually relevant and taken from data that grows exponentially. The real time data gathering and understanding of it minimizes the risks associated with it and maximizes the various opportunities it has by the evaluation of the data in a variety of ways. 4. Try to use what features you have already. When you see newer items it’s very easy to buy those programs because it fits with the model of your company. But before you rush into the new stuff, take a step back and consider. Buying them will always almost mean unforeseen problems, delays with program running and can also increase the complexity. These factors can actually create a bit of tension and resistance in the customer base, especially with those customers who are used to the present solution already. Instead of changing everything, it is important not to lose sight of the mail goal of the project. Delivering the correct function that is necessity to the business, and continuation of the support of the communities that are comfortable with the present system is more important. 5. Don’t buy unnecessary things for your business. The purchase of the independent software can be extremely tricky to balance and getting them to work together is even more difficult. Making use of the business list can help you prioritize which software systems are necessary for changing the processes of the business and which systems can be eliminated. Examining this list, then buying what you cannot easily build can decide what you need and what you don’t in a better way. After building the system, you have an independent software vendor that will deliver you the proper maintenance and the proper support without causing a distraction from your team, or throwing the team in a panicked state every time a new type of technology develops. Also, it is important to remember not to build according to the availability. Take a good look at what requires constant maintenance. Also keep in mind whether the built product is really cost effective or not. Constantly chasing newer updates can increase the cost of the build and it is also something to consider in the longer run. Don’t forget to continue iterating for the best results. Creation of the big data analytics solution is a never ending process that requires constant attention and constant work for any visible progression. This is more so the norm because you will want the one that will allow you for delivering the agile solutions. But it must be remembered that this is not necessary to buy newer parts just to improvise on the existing parts. It takes a long time to make all these new parts sync properly. Such a time consuming factor will take away all the attention, therefore iterating the existing features will be a better option. It is constantly up to the evaluation of the Big data solution in India, and constantly test to see how you or your company should optimize it. Optimization is one of the most important ways to stay ahead of this game.